Auberge du Lac has a new chef. His name is Matt Edmonds and he arrived three weeks ago. I have come to review the lunch menu, and my mum is my date for the afternoon. She’s under strict instructions to behave and not to look at the tasting menu. 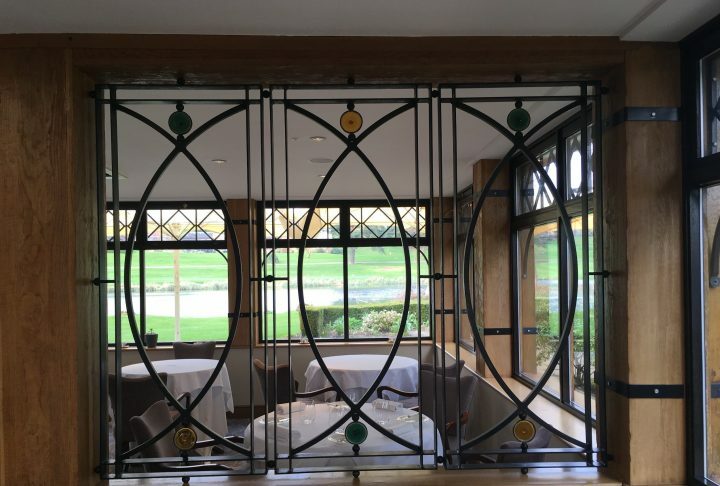 If you know Auberge du Lac, you’ll know that it’s a restaurant with a few tales to tell. If you don’t, well, let’s keep things simple for now. 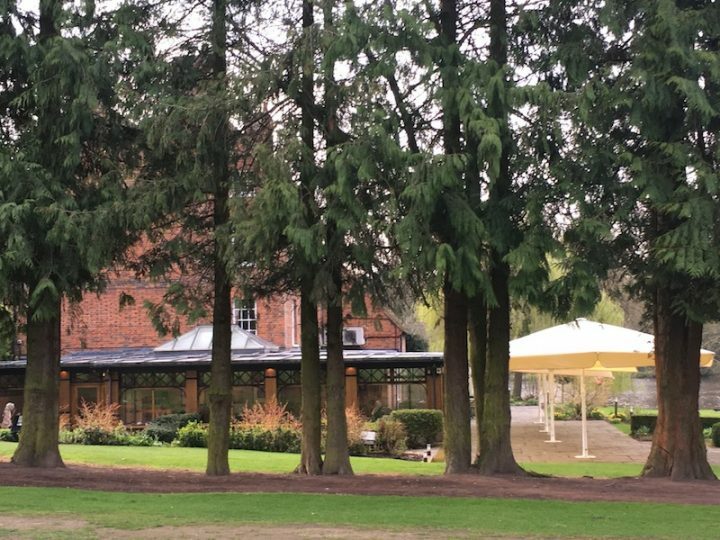 The restaurant is in the former hunting lodge on the Brocket Hall estate, now home to a golf club and many Douglas fir pines, bits of which made it into the menu. 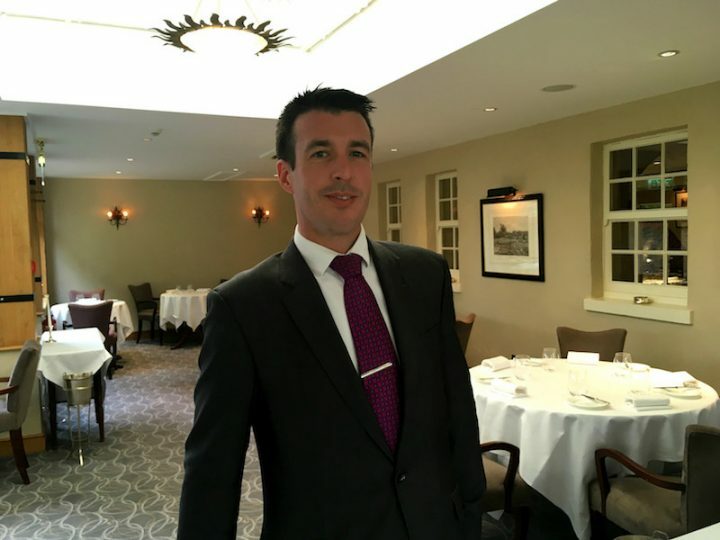 Matt Edmonds is young and has already garnered two AA rosettes, and his CV includes Searcys at the Gherkin and the Surrey pub The Grantley Arms in Wonersh. He’s been cooking up a storm in his new Herts kitchen and scampering around the estate foraging for wild garlic – and pine needles. We arrive in style. Well, not quite. I park my vintage Golf behind these two. Friends of the new owners have popped in for lunch and they chose to fly in, but I just thought you’d like to know that landing here is not an issue. We go in for drinks, and as you can see, it’s cosy and quite snug. We meet Guillaume Pages, the new restaurant manager who started here at the same time as the new chef. 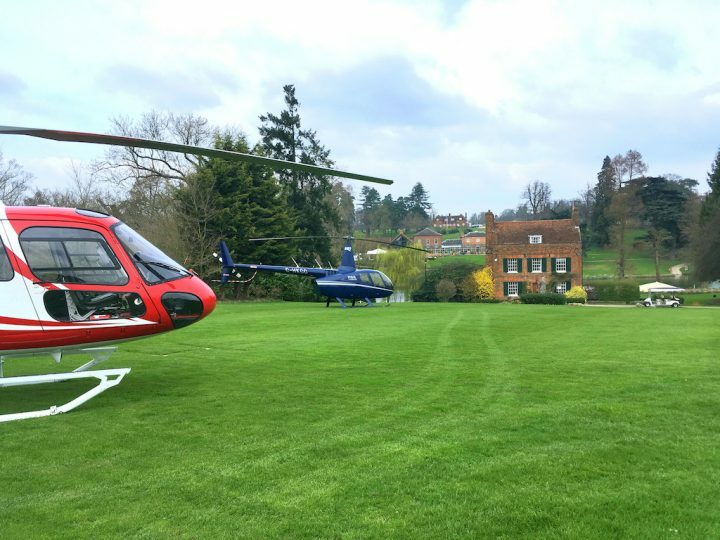 He has come to Auberge via Belmond Le Manoir aux Quat’Saisons, Sketch and André Garrett at Cliveden House. Would we like a glass of champagne? You bet we would. We settle in to read the menu – yes, that’s the set lunch menu, Mum – and in come some canapés. 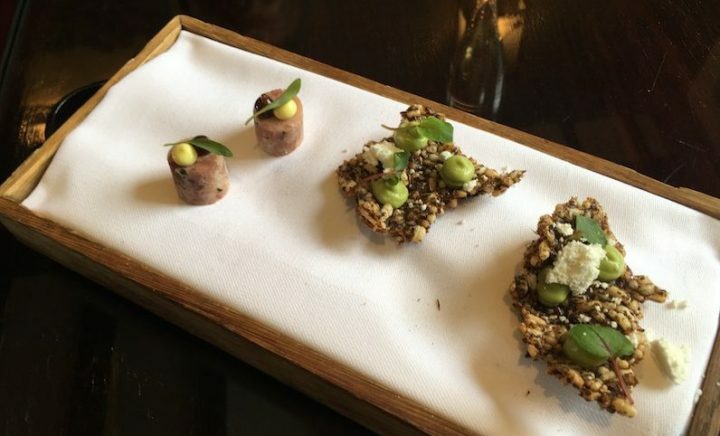 We spend a polite amount of time admiring the ham hock and coriander ballotines and wild rice crackers with avocado pureé and, yes, Douglas fir pine powder morsels and we demolish them quickly. They are delicious. It’s fair to say that we’re getting excited about lunch. 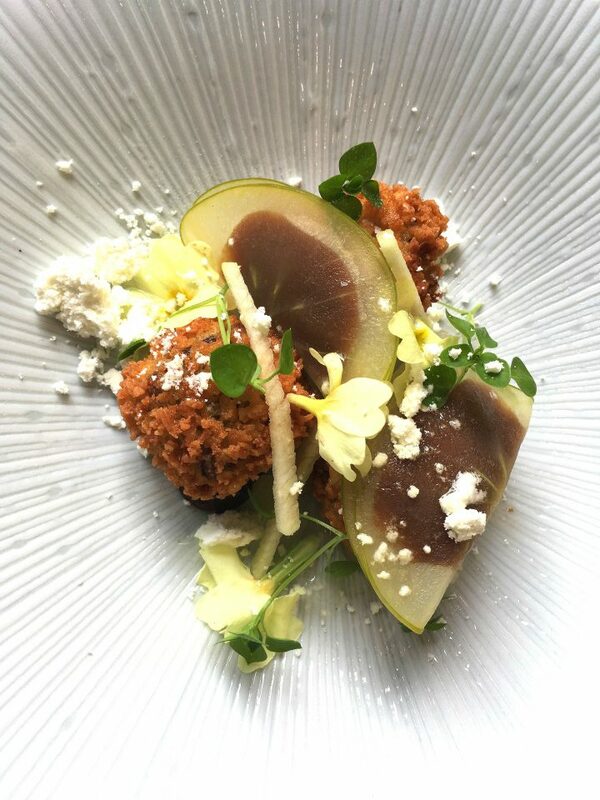 There are three menus on offer and this is how they roll: the three-course set lunch, £24.50; à la carte, with starters from £11.50 for beetroot with goats curd, spiced granola and apple, up to £38 for the hay-smoked venison main course. 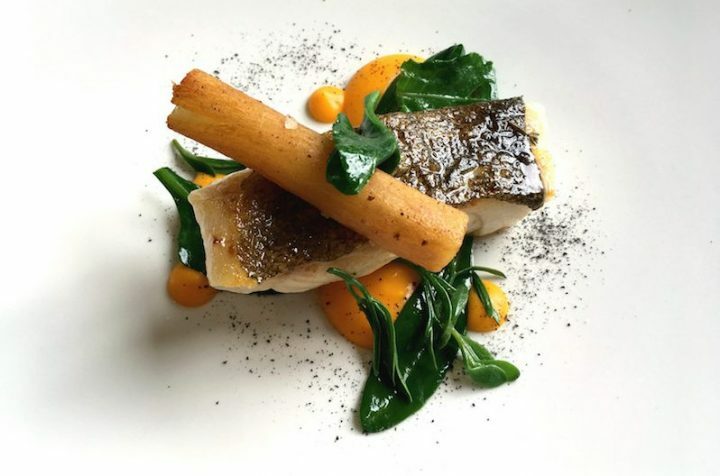 I might as well tell you that the eight-course tasting menu is £85 per head, or £135 with tasting wines. So yes, just in case you’re not there already, this is fine dining in Welwyn. And yet. 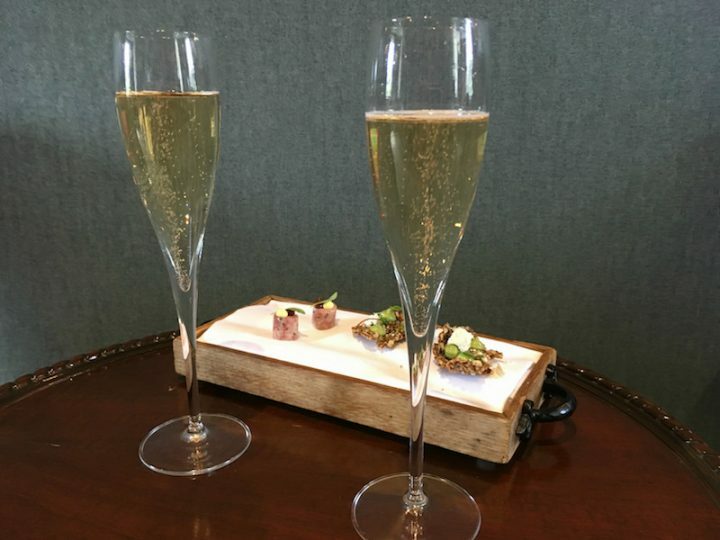 Already we are saying that £24.50 is a bit of a Billy Bargain considering the attentive service, canapés and, as we are soon to discover, amuse-bouches. We move downstairs to the dining room where the helicopter gang are already on pudding and there are also three ladies lunching and one couple. Someone actually asks whether the Ladies Who Lunch menu is still, er, on the menu, something that Auberge used to be known for. At this point, a bit of history: Jean-Christophe Novelli was once the chef here, back in the day, and I think he may have started the Ladies Who Lunch wheeze. 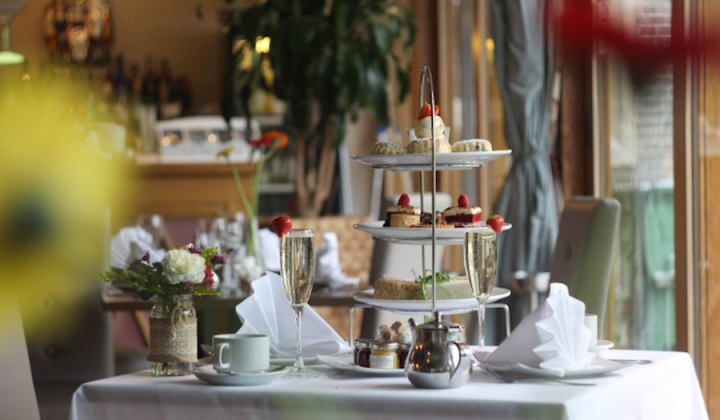 He was followed by Phil Thompson – now Thompson St Albans – where you can now still enjoy a Ladies That Lunch experience. 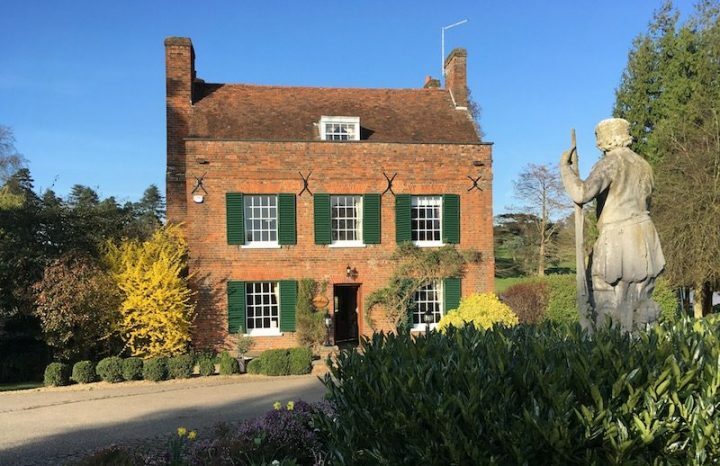 This is Hertfordshire after all, and we’re practically sitting on a golf course, and Victoria Beckham has eaten here, so you get the picture. After a refreshing and bright tasting sea trout, dill and cucumber amuse-bouche, we’re on to our starters. I’ve also told my mum we have to order different things, but I let her order first – I’m so considerate. 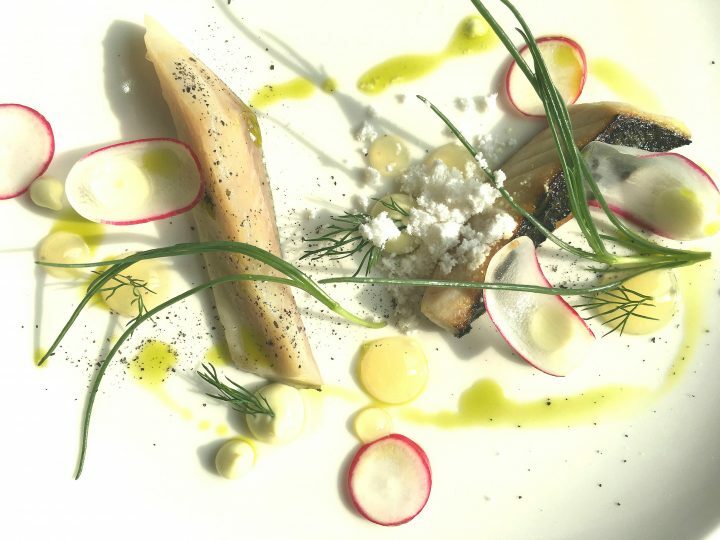 My mum goes for pigs head fritter and apple, pine, celery and primrose – this is a spring menu – and I go for yin and yang mackerel. The story? You combine a pickled belly with a torched skin to create a perfect storm of warm and hot and crisp and soft and oh well, it doesn’t really matter because it tastes really good, with interesting and subtle flavours that make you eat slowly and savour the thought that has gone into the food. My mum remembers to offer me a taste of everything – not her forte – and the pork is perfect. Very crispy on the outside and softly shredded on the inside with flavours that make you want to come back for more. By now we’re kicking back, enjoying a glass of Sancerre, and idly wondering what it feel be like to go out for lunch in a helicopter. I start reminding my mum of the night I came to Auberge for a launch party and ended up in a room with Keith Floyd. OK, so it was a big room in the main house, and he was surrounded by young women with long legs and shiny long hair, but please believe me, I was standing in the same room. Oh, and Anthea Turner was there, who for some reason this made me think of Bruce Forsyth but of course I’d got the wrong Anthea. And Giles Coren was also there. I’ll stop name dropping right now, but just to say that in its colourful history, Auberge and Brocket Hall have welcomed many guests of note. 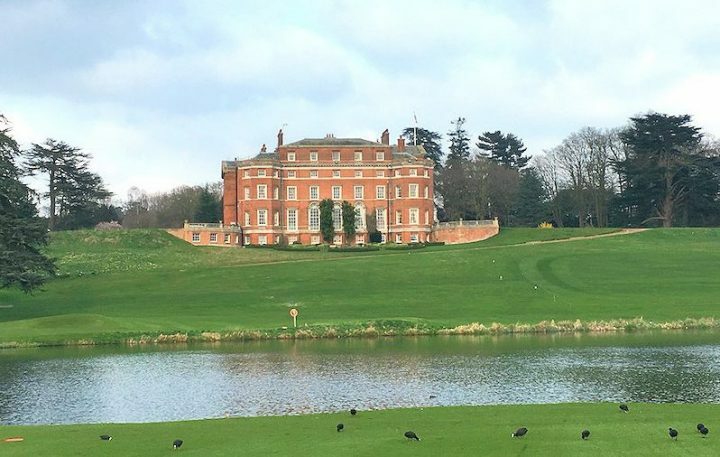 Brocket Hall is now a popular wedding venue and renowned for its afternoon tea, but I’d better keep that one quiet, because my mum has already expressed her interest in joining me for future reviews. Our main courses arrive. I don’t eat much meat but this is a special occasion and my mum has already chosen cod so I go for pork fillet. The meat is exquisite and perfectly cooked and the sauce is delicious in that reduced, chef-y kind of way that one rarely pulls off at home. The braised lentils that are served separately to go with the cod have an intense flavour that makes the whole dish sing. You can taste just how much care and thought has gone into this food, both in the creativity and the combined flavours and presentation. Everything works. Again, we both say that the set menu does feel like remarkably good value. The summer terrace will soon be open, yippee! Guillaume Pages – you pronounce the ‘s’ – comes over for a chat and to see how we’re getting on. 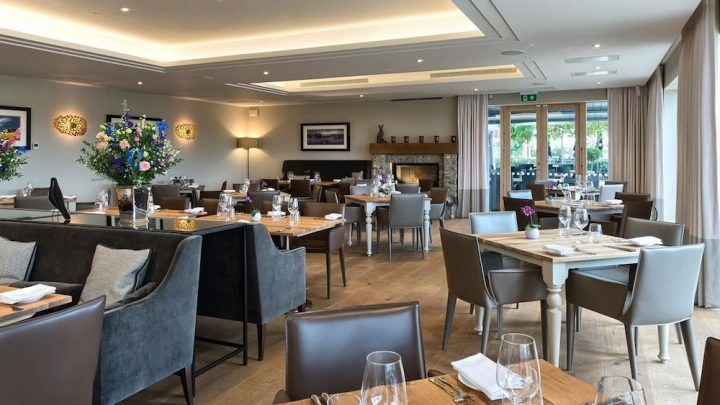 We’ve also been well looked after by the Auberge team and the service is perfect, even though my natural inclination is to veer away from places that feel formal. But that’s fine dining for you. It’s actually very relaxed and it’s a breath of fresh air not having to catch someone’s eye – they’re one step ahead when it comes to water topping up and crumbing down and all that malarkey. Oh, I’ve completely forgotten to mention the sourdough and small rye baguettes and the two different kinds of butter, one yeast butter and the other I’m not quite sure, but we tried both and declared them excellent. Pudding! And this is a day when there is absolutely no question of not having pudding. Here they are and I hope you’ll agree that they look splendid. I order a parfait so perfect that I’m still thinking about it days after our visit. 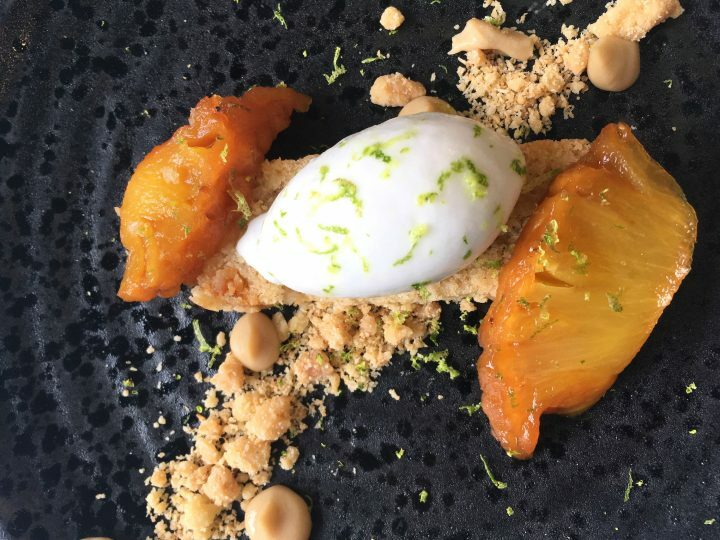 The combo of pineapple, coconut, lime and frangipane is sublime. Heavenly puddings! 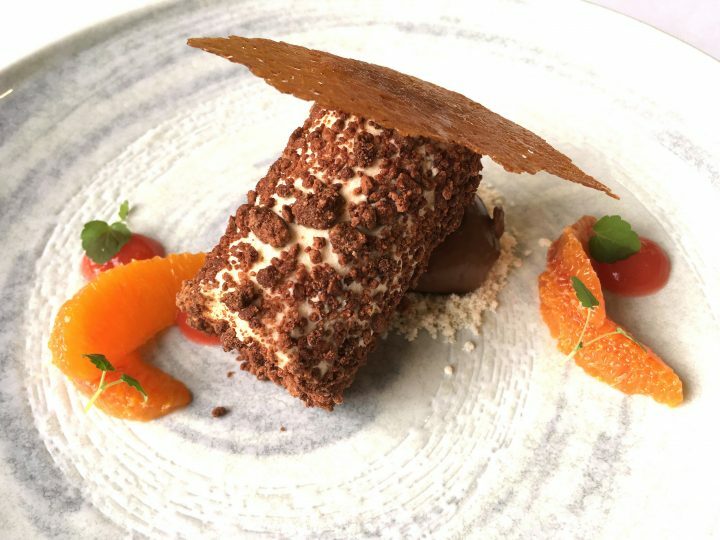 Beurre noisette parfait, with blood orange and chocolate. C’est parfait! Good for: Taking the time to enjoy food with a story. 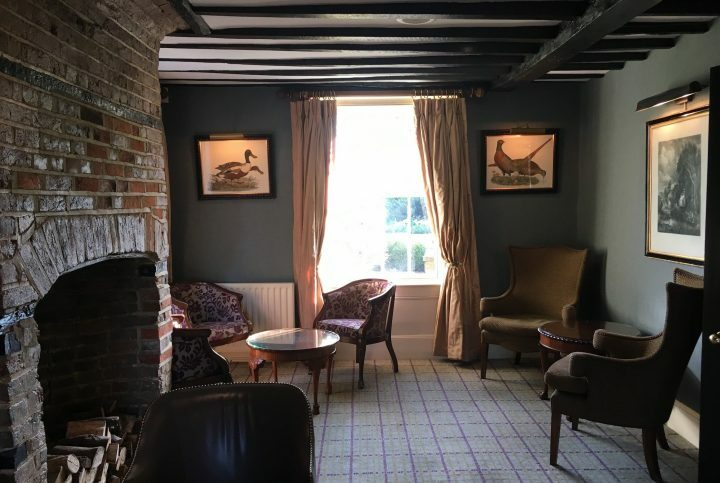 The set lunch is excellent if you’re meeting a friend, perhaps on a day off, and you want a full-on treaty experience that is remarkably good value. 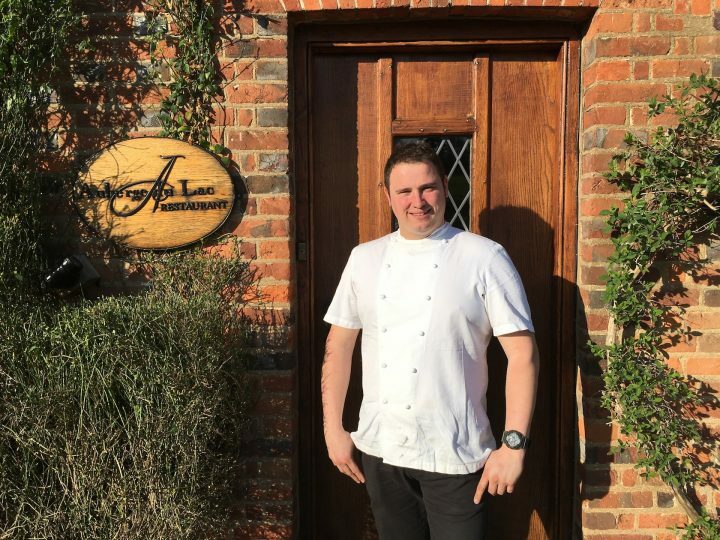 Matt Edmonds is committed to working with more local suppliers, and in addition to using what he can already find growing in the gardens, he is also planning to grow food in the extensive grounds, in and around the golf course. Not for: Anyone in a rush. 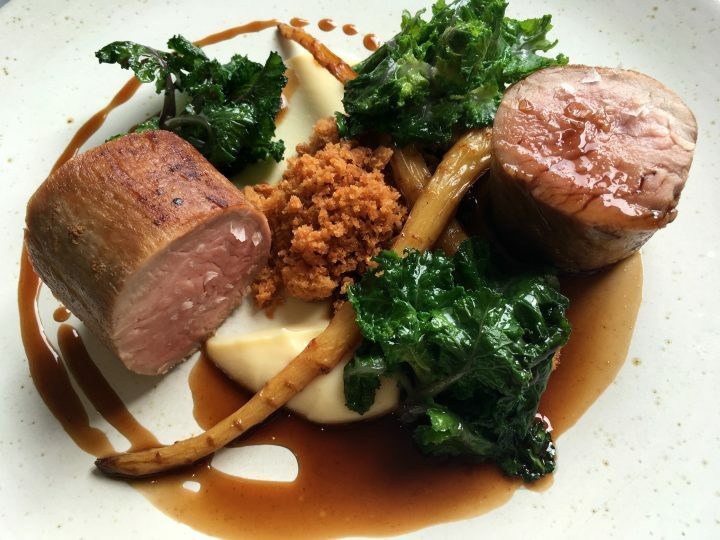 Although, having said that, Guillaume Pages did say that they are happy to accommodate people who have just got one hour for lunch, but surely you would want to savour this gorgeous food? Children are of course welcome, but whether you would want to bring your children here is another thing. £££: The set lunch menu at £24.50 is a wonder of wonders. For the rest, yes, the prices are top end, but it’s a top notch experience, given the location, welcome and service. And Matt Edmonds is ambitious and is already cooking creative, interesting and delicious food which I suspect will get better and better. I was at Auberge last evening. The food was amazing, we had the table de hote. It was really delicious and exciting food. The service was excellent. I have not been there for a while, so wondered how things would be after 3 years. I was not disappointed, far from it, I was so well looked after and pampered. This was the first of my birthday celebrations. I will be back there again at the end of the month. 10 out of 10 from me!